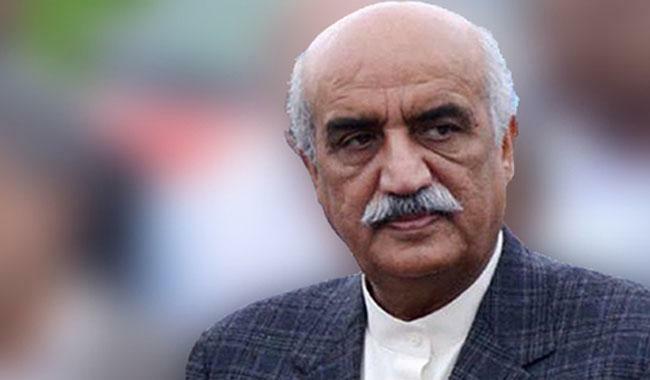 ISLAMABAD: Pakistan People’s Party (PPP) leader Syed Khursheed Shah on Wednesday criticised Prime Minister Imran Khan for speaking about the possibility of midterm elections in the country. PPP leader further stated this is something even the weakest prime minister did not say. “Imran Khan has admitted the failure of himself and his government, but the failure of this government does not mean failure of the parliament.” he asserted. “The opposition wants the government to complete its tenure considering the circumstances country is passing through,” Shah said, adding opposition parties do not want to put the well-being of the country and its people in jeopardy.